Taking Cuba off the list of nations that sponsor terrorism is the latest development that will attract foreign companies to the island. So who wants in? These five stats explain which industries present the most opportunities as Cuba opens for business. One of the immediate benefits of renewed relations with Cuba is the increase in permitted remittance flows. The most recent figures put annual cash remittances to Cuba at approximately $5.1 billion, a level greater than the four fastest growing sectors of the Cuban economy combined. Now, permitted remittance levels from the U.S. will be raised fourfold, from $2,000 to $8,000 per year. This will help drive an increase in spending power in Cuba, which is expected to grow at a compound annual rate of 4.6% through this decade. For global companies seeking a foothold anywhere they can, more money in the pockets of Cubans means more fuel for expansion. Take Coca-Cola. With an open Cuba, Coke could be legally be sold in every country in the world save one: North Korea. Just 110 miles off the coast of Florida, Cuba should be a natural magnet for American travelers. Despite needing to meet special criteria to receive a visa from the State Department—allowable categories include educational and journalistic activities—170,000 Americans visited the country last year. As the restrictions slacken, the sky is literally the limit. JetBlue already charters flights to Cuba from the U.S., but the budget airline wants to start running regular commercial flights. American Airlines Group now flies to Cuba 20 times per week, a 33% increase in flights compared to just a year ago. More flights—and more competition—will make airfare more affordable, driving additional tourist traffic. 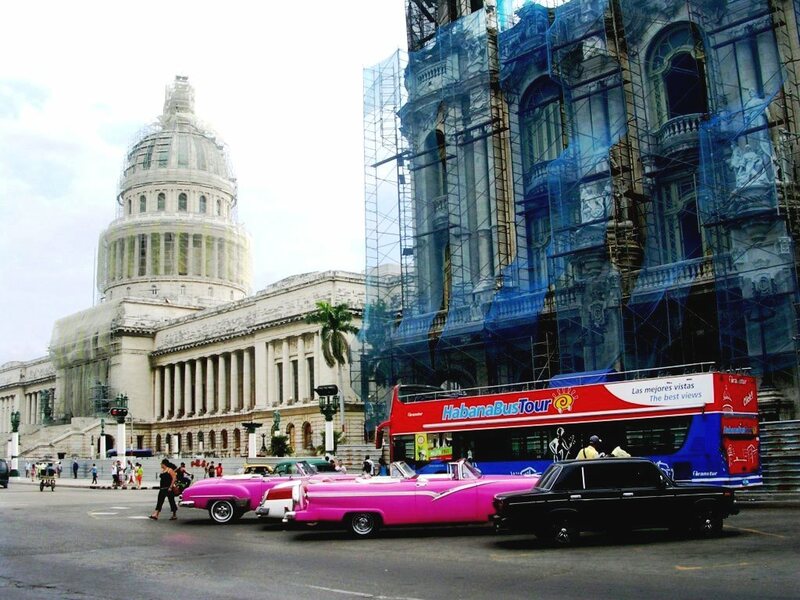 April 2014: the Capitolio, under renovation, to be the new home of the National Assembly; the Centro Gallego (old community center for Cubans of Galician origin), being restored to its former glory; a hop-on hop-off Tour bus; 1950s American automotive beauties and a Russian Lada. Missing from this photo: a Chinese Geely, currently taking over Cuba’s automotive market. 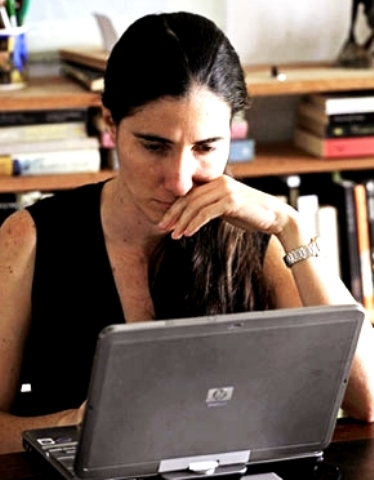 Only one in ten Cubans regularly use mobile phones and only one in twenty have uncensored access to the Internet. Even state-restricted Internet penetration currently stands at just 23.2%. The telecom infrastructure is so underdeveloped that an hour of regulated Internet connectivity can cost up to 20% of the average Cuban’s monthly salary. There’s serious demand for the major infrastructure investments needed to improve these numbers. Some start-ups are making waves in spite of shoddy internet. Airbnb, a website that lets people rent out lodging, announced that it has started booking rooms in Cuba with over 1,000 hosts. It gets around the lack of Internet by teaming with middlemen who have long worked to link tourists with bed and breakfasts. Cuba has the third highest number of physicians per capita, behind only Monaco and Qatar. They’re even used as an export: Venezuela pays $5.5 billion a year for the almost 40,000 Cuban medical professionals who now make up half of its health-care personnel. Cuban doctors lack access to most American pharmaceutical products and, importantly, to third-generation antibiotics. For its part, Cuba’s surprisingly robust biotech industry makes a number of vaccines not currently available in the U.S. With the normalization of relations, Cuba can look to fully capitalize on its medical strengths. 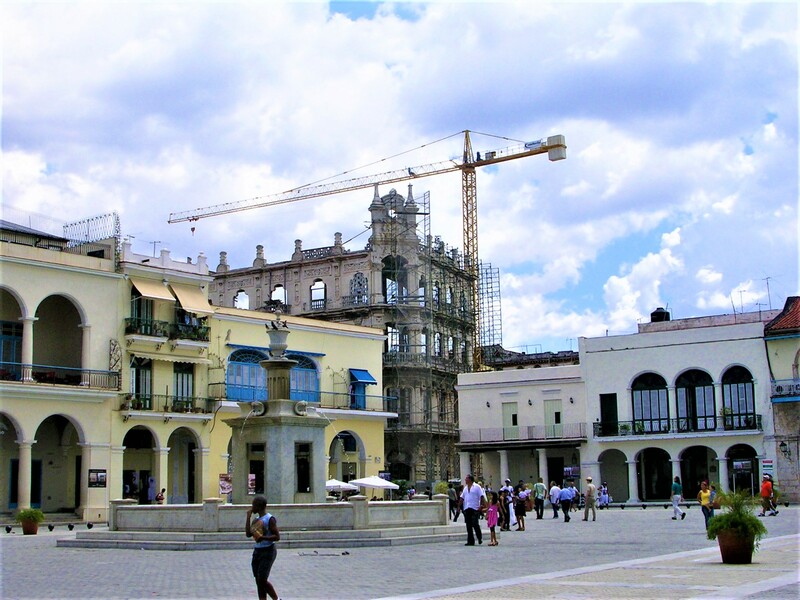 Cuba currently attracts around $500 million in foreign direct investment (FDI)—good for just 1% of GDP. Given its tumultuous political history and underdeveloped economy, it is difficult to accurately predict how quickly investors will flock once the embargo has been lifted. But a good comparison might be the Dominican Republic, another Caribbean nation with roughly the same size population as Cuba. 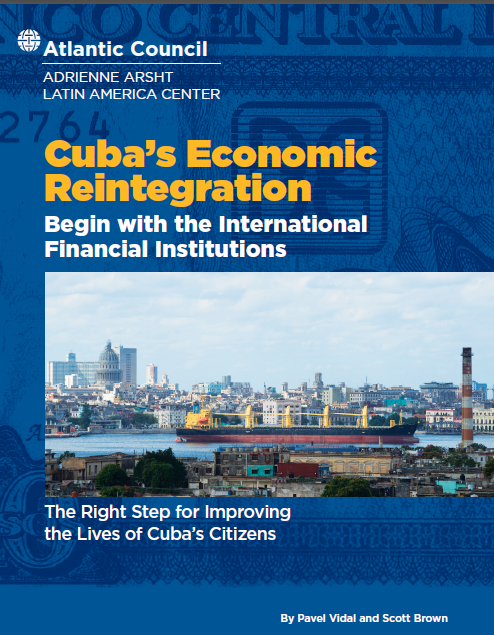 The Peterson Institute for International Economics estimates that Cuba could potentially attract as much foreign capital as the Dominican Republic, which currently receives $17 billion in FDI ($2 billion from the U.S). But this won’t happen overnight—in the Heritage Foundation’s Index of Economic Freedom, Cuba ranks 177th out of 178, ahead only of North Korea. An historic thawing of ties between Cuba and the United States has raised the question of how far the Communist island state is prepared to go in opening up its economy to the forces of the market and integration with the international community. If and when Cuba does embark on a path of economic – and perhaps also a degree of political transformation – it could well enjoy the advantages of the late-comer, drawing lessons both positive and negative from eastern Europe over the last quarter of a century. It can assess what worked and what proved much more difficult, emulating the successes and avoiding the pitfalls. 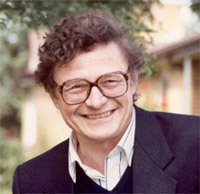 There is no doubt that the east European process was painful, especially at the very start when the existing production systems collapsed in the face of real competition, leading to precipitous declines in output and employment.There is equally no doubt that the unprecedented experiment that was launched after the fall of the Berlin Wall has been a success, however tortuous the route and however many times there have been setbacks on the way. There were four key building blocks in the reform process that was launched after 1989. These began with the – often initially painful – measures to deregulate and liberalise economic structures, including trade, prices and markets. They also comprised measures to achieve macro-economic stability, the creation of new institutions, regulatory bodies and the dismantling of state-ownership of output via the privatisation process. Of these four policies, privatisation proved to be the most socially controversial, leading not necessarily to calls for a return to the dominance of the state, but resulting in what was often perceived as a corrupt process that unfairly favoured a privileged set of elite insiders. But none of the four can be viewed independently of the others; they are intimately intertwined. Without deregulation of product and labour markets, privatisation will not work. Without privatisation, macro stabilisation will not succeed. And without appropriate institutions, none of the reforms can be sustained. The eastern Europe experience provides pointers on how to approach the reform roll-out and Cuba could benefit from reflecting on the outcome of what in the early years of transition was a furious debate about “big bang” reform or gradualism. With the benefit of hindsight it is now clear that the advocates of pursuing all the four elements simultaneously were, in the main, right. Those include the believers in the “big bang” as well as the “opportunists”, i.e. those who claim that reforms should be implemented as soon as an opportunity arises. Gradualism in the sense of postponing any of the key elements has proven not to be a workable option because it can create new vested interest in half-baked reforms, as Ukraine’s experience until recently has shown. It is, therefore, vitally important to take full advantage of the window of opportunity that exists in the earliest days of transition. One lesson that the international community learnt late was the key role that is to be played by reformed public authorities and the state in helping to define and anchor the reforms that support the market reforms. It was only much later that the reformed state was recognised as being a key element in the transition process, removing itself where markets can do the job more effectively but remaining or even being strengthened where it can support an environment within which the free market can flourish fairly.It is important to bear in mind that simply destroying the state instead of reforming and adapting it to support market development and perform the provision of public goods can lead to chaos and the state’s eventual resurrection with autocratic features. At the same time, privatisation has to be addressed sensitively, preferably using a combination of methods that ensure fairness and also an acceptable balance between foreign and domestic private ownership. For many European countries the prospect of EU membership has provided an anchor that has proven to be a major incentive in bedding down reforms and modernising economic structures. Similar options may not be out of reach for Cuba, given the vicinity of NAFTA (North American Free Trade Agreement), for example. 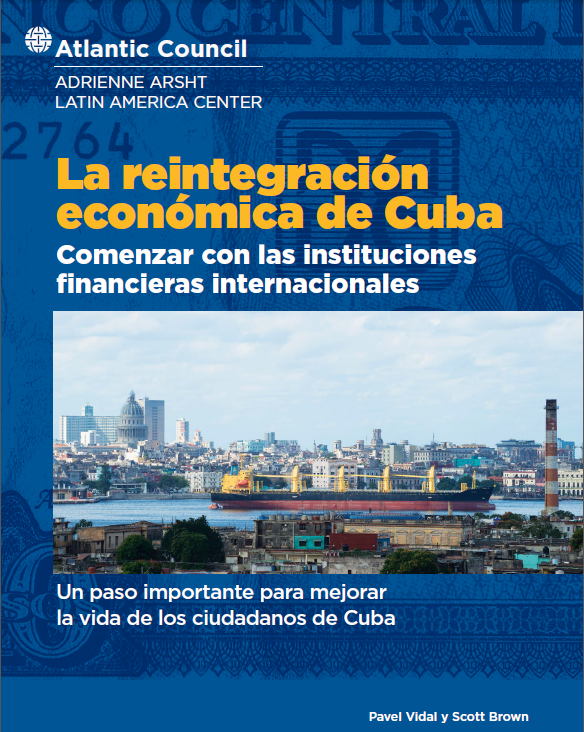 And even without a powerful external anchor, like many other economies, Cuba can look to reap the benefits from other forms of external economic opening and integration and joining international organisations that can help to inculcate higher economic standards. External support can work only if reforms start in earnest. Then foreign capital can be just as transformational as it has been in eastern Europe. Foreign direct investment can support know-how and good governance, in addition to providing much needed fresh capital. While developing external links are crucial, it is just as important for countries to nurture an independent civil society and a free media that holds up the evolving systems to scrutiny. They can both be a major support for developing democracies and fairer economies, acting as a deterrent to corruption and injustice. However, local ownership of reforms will be, just as in eastern Europe, absolutely critical. The clear communication of new processes and policies is essential. The best policies in the world will not be effective if people do not understand them. Effective communication can help change value systems, explain policy choices and ensure their ultimate success. What we are witnessing today may well be one of the last pieces of the iron curtain to start coming down. When it finally does, just as for eastern European countries 25 years ago, the Cuban people will deserve strong financial support and the best policy advice by the international community so that they can guide their reforms and re-integration into the world economy with as little volatility as possible. 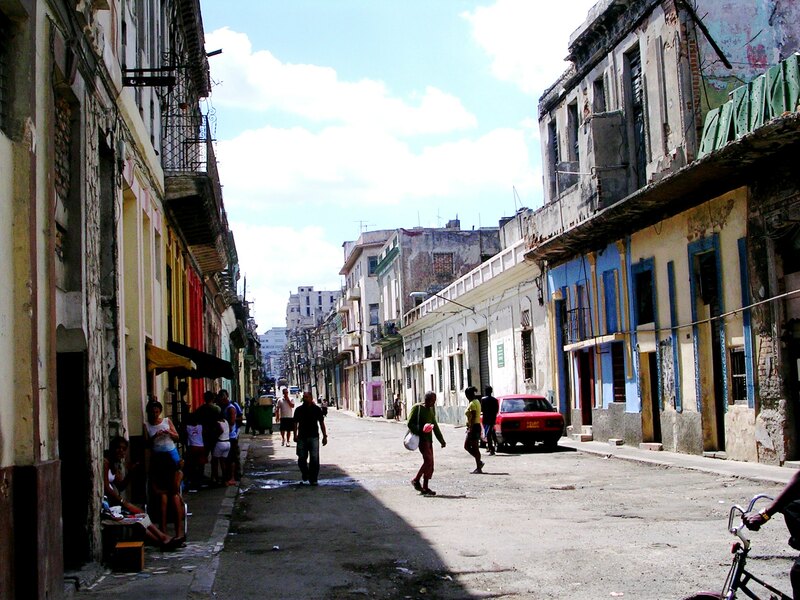 Cuba’s Economic System: Reform or Change? The problem is that the greatest obstacle could be the model itself, which is based on relations of production that hinder the country’s economic development, slow down changes, interfere with reforms and bring about discontent among the population. By implementing this socialist model, which dates back to Stalin’s time, Cuba obtained the same results seen in all other countries which copied it: agricultural production crises, industrial stagnation, shortages and a disaffected citizenry. Murillo invoked socialism’s theoretical forefathers, who said that the new, socialist society would need to nationalize only the “fundamental means of production”, a prescription that wasn’t exactly followed by a model which placed even junk food stands in State hands. To be at all effective, every economic change essayed in the country today, no matter how small, invariably demands a whole series of subsequent reforms. And it is precisely there where the model, and its defenders, prevent the reform from becoming effective or yielding its best results. 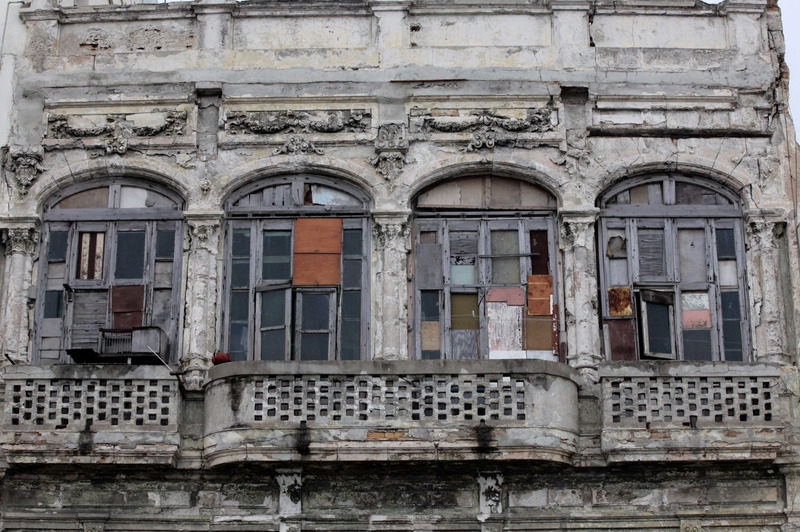 Though the Cuban government’s official discourse itself is calling for a “rejuvenation” of the country’s model, the fact of the matter is that it will be next to impossible to fit a new piece into this jigsaw puzzle without altering the pieces around it, without producing a domino-effect that will ultimately change the entire pattern. The government runs into these obstacles every time it attempts to move one of the pieces of the puzzle. When it decided to hand over State-controlled lands to the peasants, officials invoked Cuba’s “current legislation” to forbid farmers to set up their homes in farm areas. Such absurd restrictions discouraged many and pushed others to quit the food production sector altogether and devote themselves to securing construction materials illegally, so as to be able to build a home elsewhere, far from prying looks. Massive and hugely inefficient, the agricultural sector may well be the very paradigm of bureaucratic mismanagement, but it is far from being its only expression in the country. Cuba’s import system is a true bureaucratic gem, in which producers are those with the least say in official decisions. A Cuban factory wishing to import a piece of equipment from abroad is required to approach the importing company assigned to it by the State. Technically speaking, this “importer” does not actually import anything – it merely puts out a bid among foreign companies with offices in Cuba. Employees from these companies are the ones who travel to the manufacturing country, purchase the equipment and bring it back to Cuba. Under the country’s current model, the manager of a Cuban factory is expressly forbidden from contacting the foreign export company directly. Thus, the person who makes the order is an office clerk who knows little or nothing about what the company needs and who, in the best of scenarios, will opt for the cheapest piece of equipment available, something which often leads to serious production problems later. The status quo relations of production continue to find support in Cuba, from the defenders of “Real Socialism.” Ironically, or not surprisingly, most of them are isolated from the reality of this socialist system, enjoying government perks that compensate for the “small inconveniences” of everyday life. In the worst cases, these “intermediating State importers” are bribed by foreign companies so that they will purchase obsolete or poor-quality equipment. In recent weeks, Cuban courts tried hundreds of State employees implicated in these types of “deals”. These are the “relations of production” which keep equipment in Cuban factories paralyzed for months, waiting for the needed spare parts, while State importers take all the time in the world to decide what to purchase. Most Cubans I know support the changes that have been implemented thus far and want these to make headway quickly and effectively. It is hard to come by anyone who feels nostalgia for the old model, which proved more efficient in establishing restrictions than in satisfying the material needs of the population. But these relations of production continue to find support in Cuba, from the defenders of “Real Socialism.” Ironically, or not surprisingly, most of them are isolated from the reality of this socialist system, enjoying government perks that compensate for the “small inconveniences” of everyday life. Change is coming to Cuba at last. The United States could do far more to encourage it. The Economist has produced one of its excellent surveys, this time focusing on Cuba. Below are a set of hyperlinks to the various chapters of the Cuba Report. The chapter on the economy is presented following the Table of Contents. Who and what will follow Raúl? GISELA NICOLAS AND two of her friends wanted to set up an events-catering company, but that is not one of the 181 activities on the approved list for those who work por cuenta propia (“on their own account”), so in May 2011 they opened a restaurant called La Galeria. With 50 covers, it is a fairly ambitious business by Havana standards. They have rented a large house in Vedado and hired a top chef and 13 other staff who are paid two to three times the average wage, plus tips. The customers are mainly foreign businesspeople and diplomats, Cuban artists and musicians and visiting Cuban-Americans. “This opportunity means a lot to us,” says Ms Nicolas, who used to work for a Mexican marketing company. “But they haven’t created the conditions for a profitable business.” There are no wholesalers in Cuba, so all supplies come from state-owned supermarkets or from trips abroad. Reservations are taken on Ms Nicolas’s mobile phone. Advertising is banned, though classified ads in the phone book will soon be allowed. Across Cuba small businesses are proliferating. Most are on a more modest scale than La Galeria. Fernando and Orlandis Suri, who are smallholders at El Cacahual, a hamlet south of Havana, can now legally sell their fat pineapples and papaya from a roadside stall, along with other produce. Orlandis plans to rent space on Havana’s seafront to sell fruit cocktails and juice. In Santa Clara, Mr Pérez’s wife, Yolanda, sells ice-cream from their home. Having paid 200 pesos for a licence and 87 pesos in social-security contributions, she earns enough “to buy salad”. 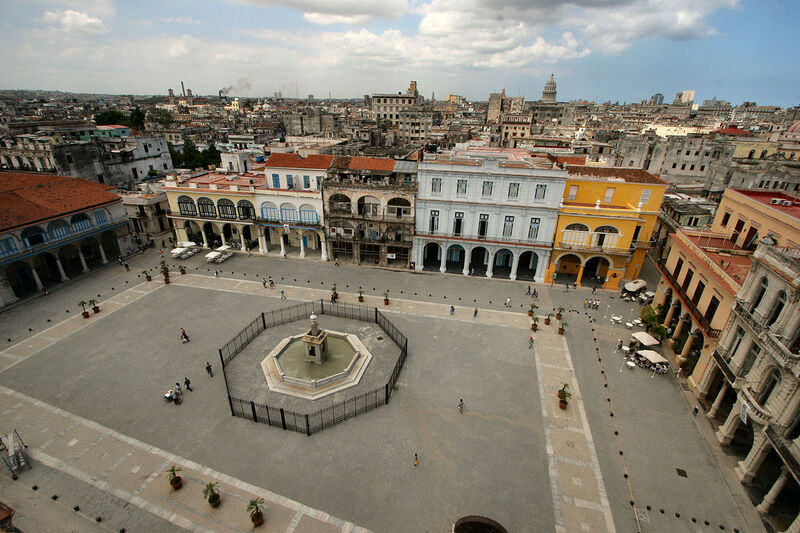 The streets around Havana’s Parque Central heave with vendors hawking snacks and tourist trinkets. Many of them are teachers, accountants and doctors who have left their jobs for a more lucrative, if precarious, life in the private sector. 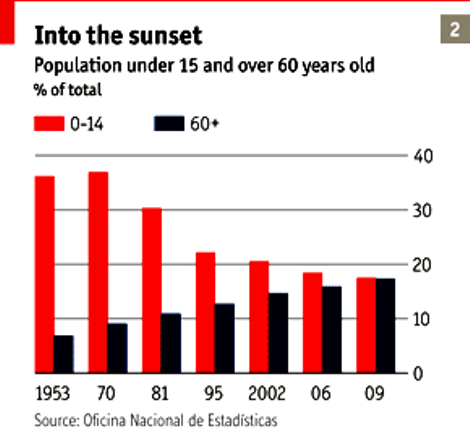 Cuban statistics are incomplete, inconsistent and often questionable. 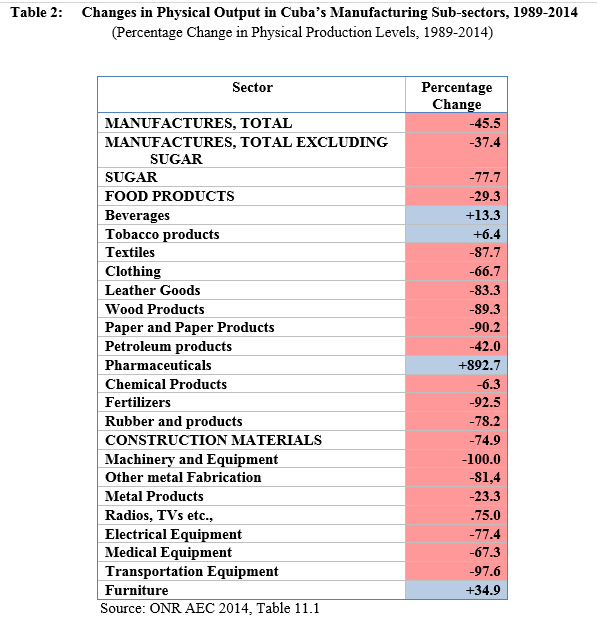 But in a lifetime’s detective work, Carmelo Mesa Lago at the University of Pittsburgh has calculated that output per head of 15 out of 22 main agricultural and industrial products was dramatically lower in 2007 than it had been in 1958. The biggest growth has come in oil and gas and in nickel mining, largely thanks to investment since the 1990s by Sherritt, a Canadian firm. 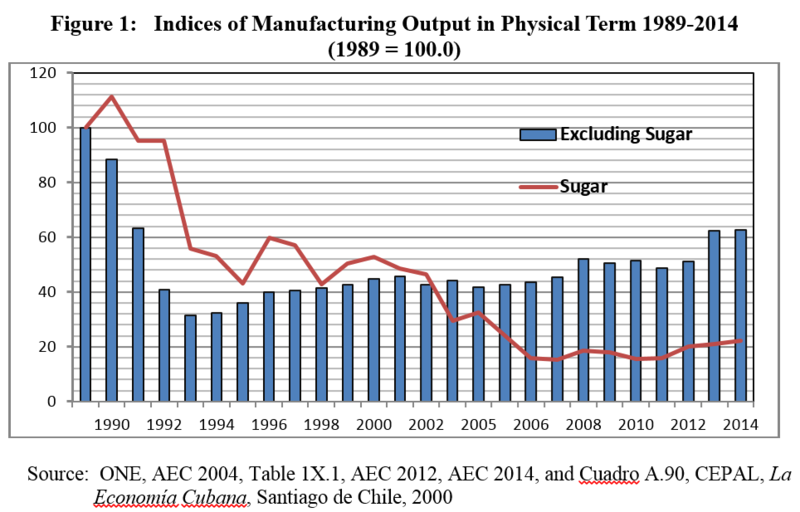 But output per head of sugar, an iconic Cuban product, has dropped to an eighth of its level in 1958 and 1989. Capital investment has collapsed. 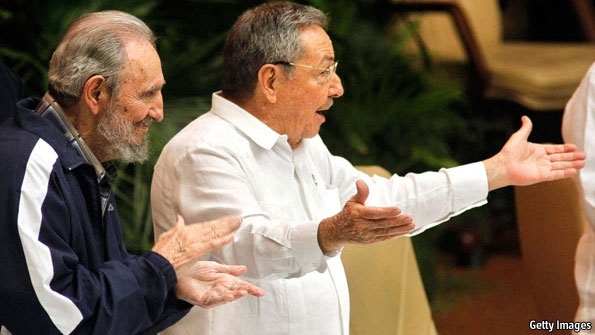 Raúl Castro has repeatedly lamented that Cuba imported around 80% of the food it consumed between 2007 and 2009, at a cost of over $1.7 billion a year. The global financial crisis in 2007-08 also took its toll. Tourists stayed away, the oil price plunged, and with it Venezuelan aid. Hurricane damage meant more food imports, just when world food prices were rising and those of nickel, now Cuba’s main export, were plunging. 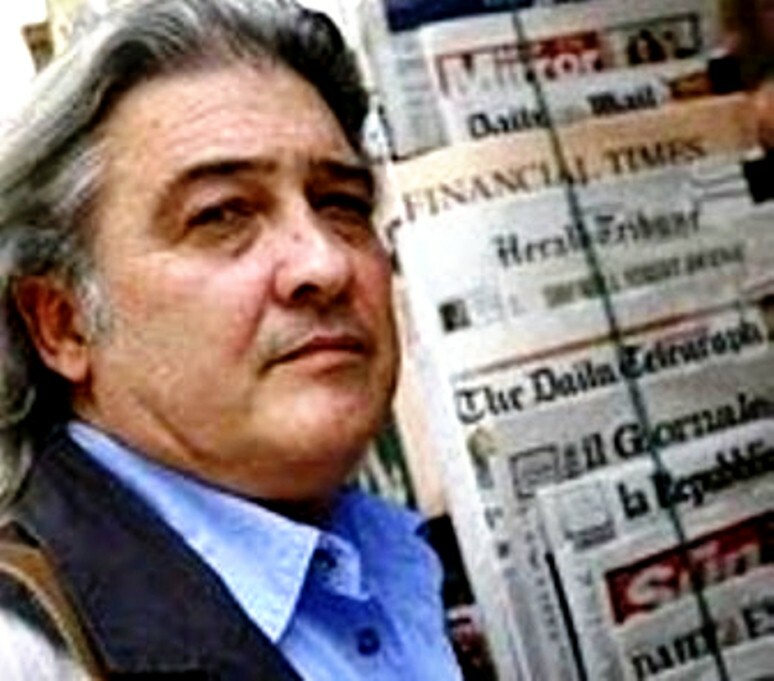 All this coincided with the political infighting in which Mr Lage was ousted, during which “all financial and budgetary discipline was blown away”, according to a foreign businessman. Having repeatedly defaulted on its foreign debt, Cuba has little access to credit. Instead of devaluing the CUC, which would have pushed up inflation, in January 2009 the government seized about $1 billion in hard-currency balances held by state-owned enterprises (SOEs) and foreign joint ventures. It did not finish paying them back until December 2011. The guidelines approved by the party congress contain measures to raise production and exports, cut import demand and make the state financially sustainable. This involves, first, turning over idle state land to private farmers; second, making the state more productive by transferring surplus workers to the private sector or to co-ops; and third, lifting some of the many prohibitions that restrict Cuban lives, and granting much more autonomy to the 3,700 SOEs. The grip of the state on Cuban farming has been disastrous. 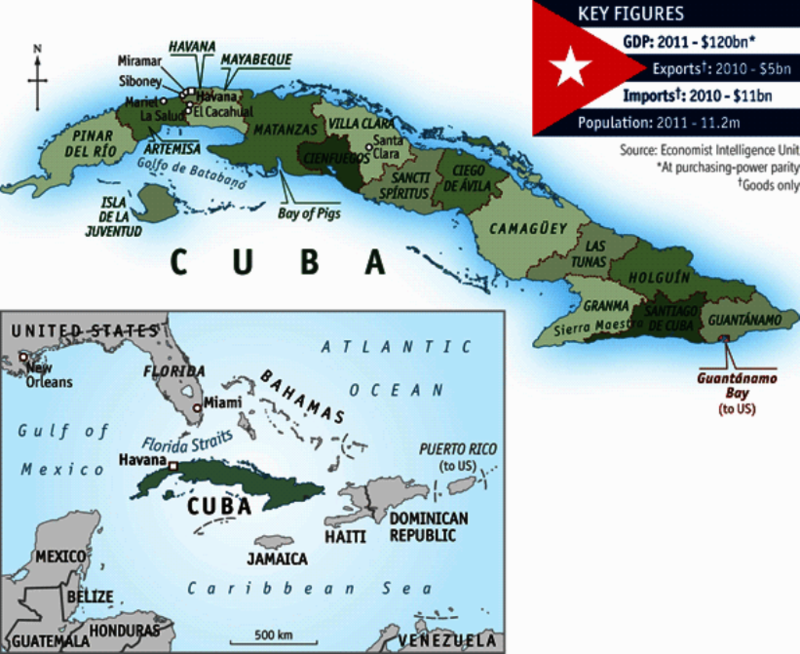 State farms of various kinds hold 75% of Cuba’s 6.7m hectares of agricultural land. In 2007 some 45% of this was lying idle, much of it overrun by marabú, a tenacious weed. Cuba is the only country in Latin America where killing a cow is a crime (and eating beef a rare luxury). That has not stopped the cattle herd declining from 7m in 1967 to 4m in 2011. In 2008 Raúl allowed private farmers and co-ops to lease idle state land for ten years. By December last year 1.4m hectares had been handed out. The government has now agreed to extend the lease-period to up to 25 years, allow farm buildings to be put up and pay for any improvements if the leases are not renewed. Credit and technical assistance also remain scarce, says Armando Nova of CEEC. Farmers suffer in the grip of Acopio, the state marketing organisation. It is the monopoly supplier of inputs such as seeds, fertiliser and equipment and was the sole purchaser of the farms’ output, but its monopoly is being dented. Farmers can now sell surplus production of all but 17 basic crops themselves. Under a pilot programme in Artemisa and Mayabeque provinces, near Havana, new co-ops will take over many of Acopio’s functions. The reformers want to see Acopio go. 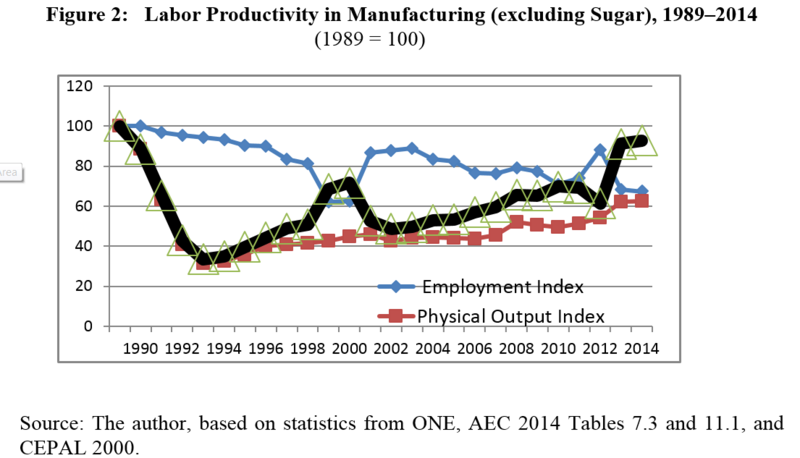 More surprisingly, so does Joaquín Infante Ugarte at the National Association of Economists and Accountants (ANEC): “It’s always been a disaster. We should put a bomb under it.” But in around 100 of Cuba’s 168 municipalities the economy is based on farming, so Acopio is a big source of power and perks for party hacks, and its future is the subject of an intense political battle. That makes farmers nervous. A year ago the 30 or so farmers in the Antonio Maceo co-op in Mayabeque leased extra land, got a loan and planted bananas, citrus and beans. The administrator says output is up, but “it will take time to see a real difference.” And with that he clammed up. Official data suggest that output of many crops fell last year; the price of food rose by 20%. That may be partly because farmers are bypassing the official channels. Granma, the official—and only—daily newspaper, reported in January that a spontaneous, self-organised and regulated wholesale market in farm products has sprung up in Havana. That looks like the future. Reducing the state’s share of the economy has been even more contested. Raúl originally said the government would lay off 500,000 workers by March 2011 and a total of 1.1m by 2014. That timetable has slipped by several years because the government has been reluctant to allow sufficiently attractive alternatives for workers to give up the security (and the pilfering opportunities) of a state job. But including voluntary lay-offs and plans to turn many state service jobs into co-ops (as has already happened with small barber’s shops, beauty parlours and a few taxi drivers), some 35-40% of the workforce of 4.1m should end up in the private sector by 2015, reckons Mr Everleny. By October 2011, he says, some 338,000 people had requested a business licence, 60% of whom were not leaving state jobs, suggesting that they were simply legalising a previous informal activity. As happens to small businesses the world over, many fail in the first year. 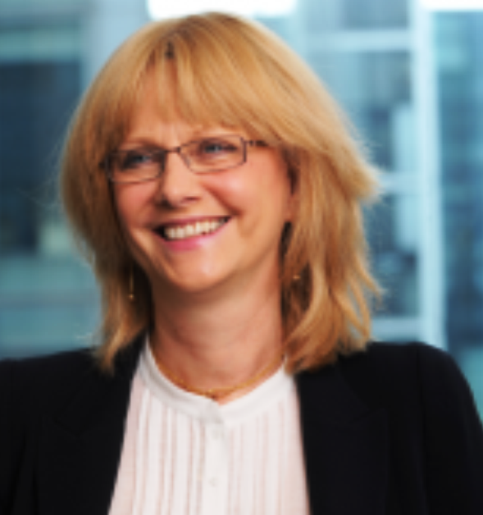 Few of the cuentapropistas have Ms Nicolas’s business experience. Many clearly find it hard to distinguish revenue from profit. ANEC is organising training courses. But the government has stalled an attempt by the Catholic church to set up an embryonic business school. If cuentapropismo is not to be a recipe for poverty, the government will have to ease the rules. Mr Everleny wants to see private professional-service firms being established: architects, engineers, even doctors. Already the taxes levied on the new businesses have been cut, but they are still designed to produce “bonsai companies”, in the words of Oscar Espinosa Chepe, a dissident economist. Lack of credit is another obstacle. Start-up capital for new businesses comes mainly from remittances. In a pilot scheme the government approved $3.6m in credits in January, nearly all for house improvements. 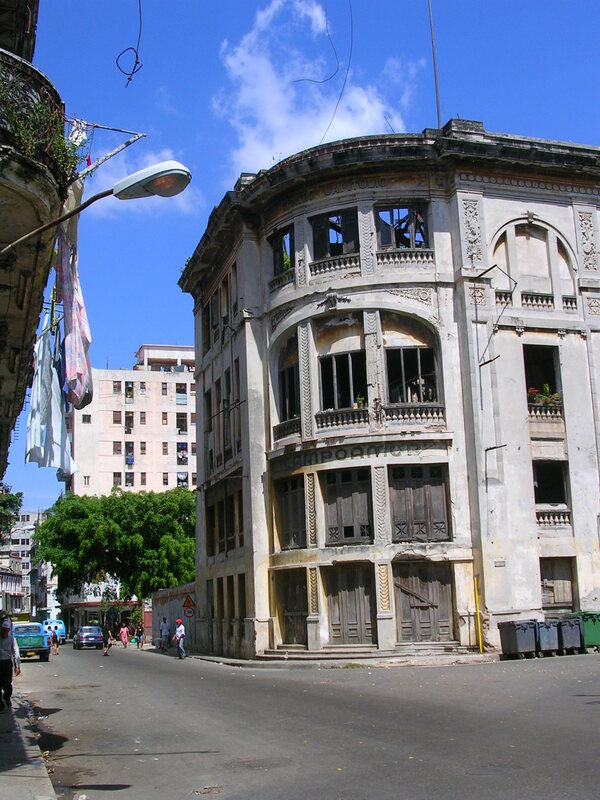 As for deregulation, Raúl has taken some simple and popular steps, lifting bans on Cubans using tourist hotels and owning mobile phones and computers, and last year allowing them to buy and sell houses and cars. But reforming SOEs is far more complicated. They have been told to introduce performance-related pay. The boldest step was last year’s abolition of the sugar ministry. In principle, SOEs that lose money will be merged or turned over to their workers as co-ops. But a planned bankruptcy law is still pending. So is the elimination of subsidies and the introduction of market pricing. Mr Ugarte of ANEC thinks much of this will happen this year, along with a new law to introduce corporate income tax. The pace of change has picked up since the party congress set up a commission with 90 staff under Marino Murillo, a Politburo member and former economy minister, to push through the reforms, says Jorge Mario Sánchez at CEEC. “By 2015 there won’t be the socialist economy of the 1990s, nor the same society.” But there are several gaps. For one, the government seems undecided what to do about foreign investment, a key element in the rapid growth in Vietnam and China. It has cancelled some of the joint ventures it had signed (often in haste) during the Special Period, and such new agreements as it is entering are almost exclusively with companies from Venezuela, China and Brazil. Odebrecht, a Brazilian conglomerate, has reached an agreement under which it will run a large sugar mill in Cienfuegos for ten years. Many foreign companies are keen to invest in Cuba but are put off by the government’s insistence on keeping a majority stake and its history of arbitrary policy change. Officials worry that foreign investment brings corruption. 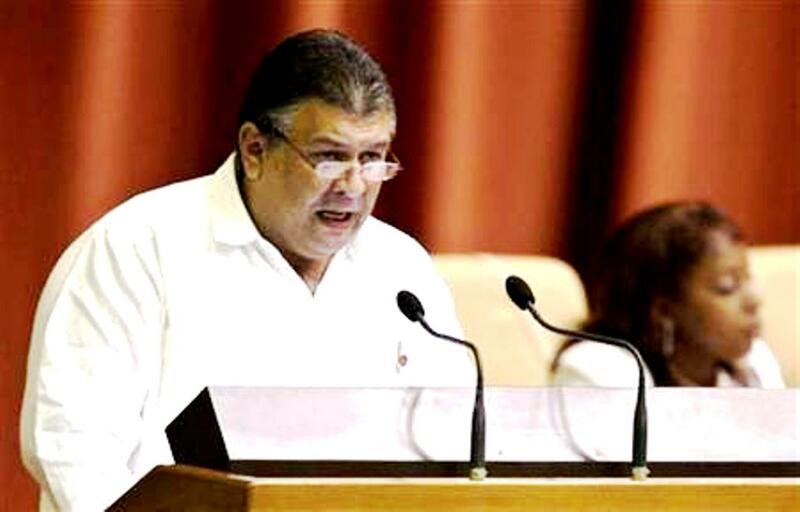 Raúl has launched an anti-corruption drive with the creation of a powerful new auditor-general’s office. Several hundred Cuban officials, some very senior, have been jailed, as have three foreigners. Raúl rightly sees corruption as politically incendiary at a time of rising inequality. But he is tackling the symptoms rather than the cause. “People who were making $20 a month were negotiating contracts worth $10m,” says a foreign diplomat. The guidelines involve only microeconomic reforms. Raúl’s macroeconomic recipe has so far been limited to austerity: he has managed to trim the fiscal and current-account deficits. The trickiest reform of all will be unifying the two currencies, by devaluing the CUC and revaluing the peso. 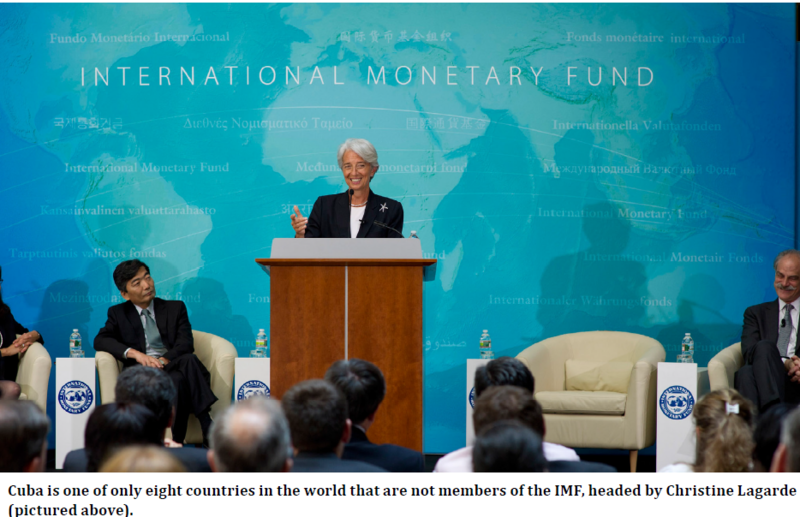 It would help if Cuba were a member of the IMF and the World Bank and had access to international credit, but so far the government has shown no interest in joining. Mr Vidal of CEEC points out that for devaluation to provide a stimulus, rather than just generating inflation, the economy would have to be far more flexible. That will require a political battle.